P-Z There are 48 products. 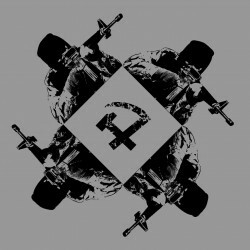 Final part of the 'Excrement Terrorism on the Holy Trinity' split 7" EP trilogy. Presenting the sickest and most depraved hordes of the Dutch underground. Exclusive tracks by THE WAMPYRIC SPECTER and WROK. Limited to 400 handnumbered copies - 1st 100 in colored vinyl. 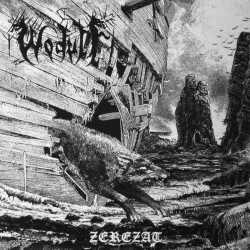 Proud Flemish Heathen Metal. Australian import on colored vinyl. Comes with patch of Waelcyrge + download code. 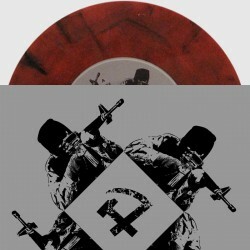 Extreme Underground Black Metal split 7". With Sturmkommand, Uriburu, Endlosung, Via Dolorosa and Holocaustus. With nice sticker. Exclusive material by both bands. Luxurious packaging, gatefold sleeve, reverse board printing, 6-page insert, black paper bags.